Spring has sprung – allegedly. We may not be able to frolic in a sun-bathed clover field just yet, but we’re definitely kicking off the season with many bites, sips and events to keep us busy. Robina Town Centre’s newest restaurant is a funky fresh addition to The Kitchens, serving contemporary Asian fusion cuisine that’ll leave you craving more. Sibling venue to Fortitude Valley’s Emporium, enjoy an array of dishes from gyoza and kushiage to curries, stir fry’s and other sizzling eats. Prepare for six weeks of eating, meating, and apple strudel, because Munich Brauhaus is Oktoberfest. South Brisbane’s own slice of Germany, enjoy stein after stein as you feast on giant pretzels, pork knuckles and more sausages than you can throw a stick at. Leave your soggy sangas at home – Little Valley has just upgraded your midday break with their $39 Yum Cha Lunch! 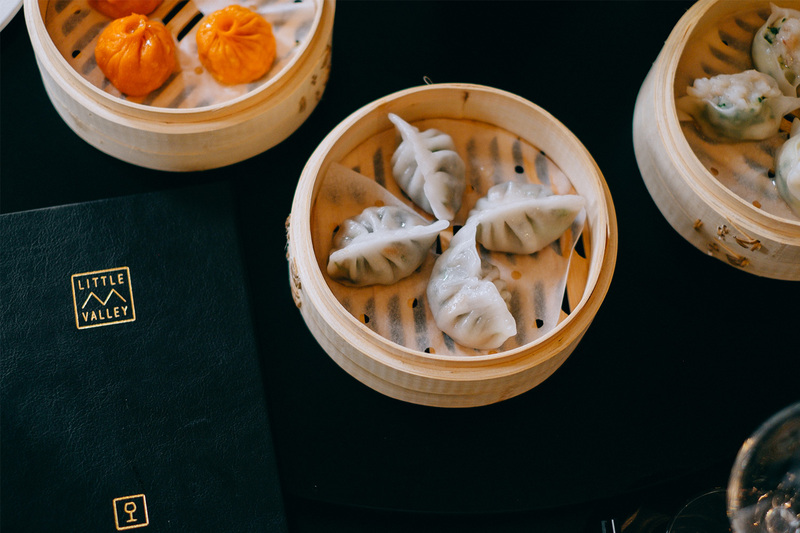 Indulge in everything from wonton soup, pork and kimchi buns and miso poached chicken to salted duck egg custard buns and bottomless tea – and don’t even get us started on their Late-Night Dim Sum, starting this week. We’re getting our chopsticks at the ready – Donna Chang is gracing Brisbane City on Saturday, opening at its heritage-listed site for the first time! This contemporary Cantonese eatery will serve eats like spanner crab cheung fun, roasted half duck with Davidson plum and live seafood as well as desserts like Sichuan-spiced hibiscus bubble tea. Grab your joggers and prep your stomach, Nom Nom Bao is serving up 100 signature bao for free to the first visitors this Friday. If you miss out, no worries – there’s no point in leaving immediately when there’s a perfectly excellent menu of crispy pork belly, fried chicken and dessert bao at your fingertips. Due to popular demand (and totally not us waving signs and sleeping outside their doors), the team behind E’cco Bistro are extending their luxury dining two-course lunch until the end of this month! For just $39pp, live the luxe life while you’re feasting it up on roasted pork and cauliflower, braised short rib and wine. We’re having to put our croissant cravings at bay for the time being as fave French Boulangerie Montrachet expands their kitchen and private dining room. We’re waiting with bated breath as their King Street location is under renovations, as they’ll be introducing a new wine collection with 330 wines! Paddington’s latest Italian joint has hit Given Terrace, slinging pizzas like nobody’s business from its wood-fired oven. One thing’s for sure, we’re head over heels for David Ruggiero’s newest restaurant, Romantica.